Satisfied Dungeons & Dragons developer? Or a Bowflex model doing ab crunches? YOU DECIDE. 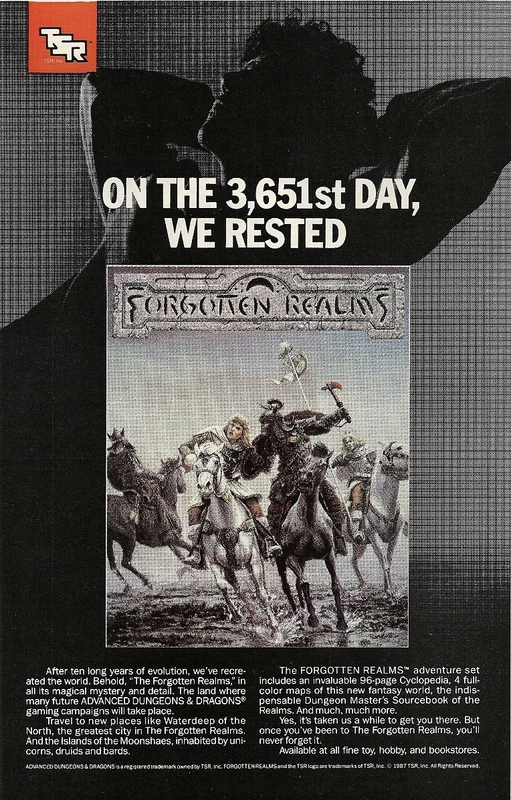 Not to put down Dungeons & Dragons or the RPG community that made it the standard-bearer that it was/is, but the ten-year development period put forward by this ad reminds one of that old William Shatner SNL skit. You know, the “GET A LIFE,” “COLOSSAL WASTE OF TIME” one. I hope Forgotten Realms was truly worth all those man hours.